Extra 340 leaves Fond du Lac. Train is crossing over Interstate 41 bridge. 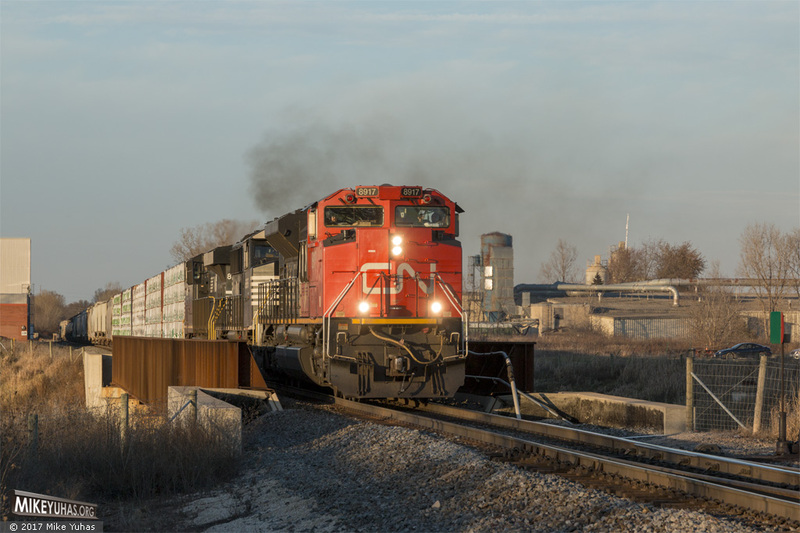 Details: X34082-24: CN 8917, NS 6966, NS 8069; 108 loads and 17 empties; 13,933 tons, 7,010 feet.